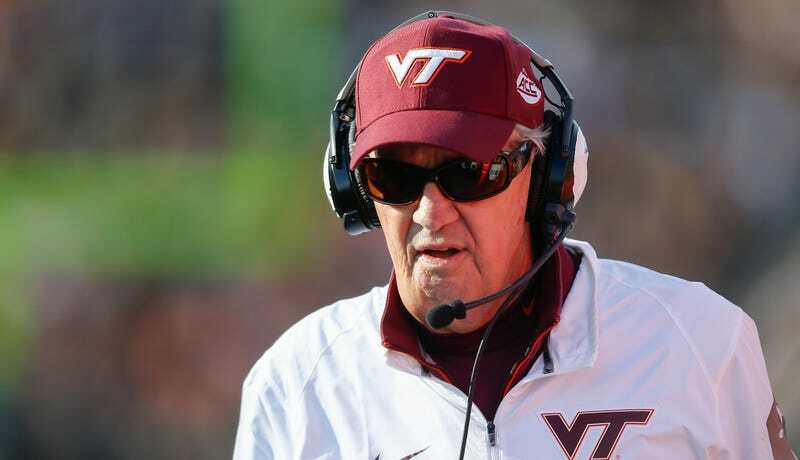 According to reports from Mark Schlabach and others, longtime Virginia Tech football coach Frank Beamer is gong to retire after the conclusion of this season. When Beamer took over the program in 1987, the school had only reached six bowl games in its history. Heading into this year, Beamer has led the Hokies to 22 straight bowl games, including 1999’s Sugar Bowl with Michael Vick. Beamer coached the team to four ACC titles and three Big East titles, truly building the program to what it is today. He underwent throat surgery late last year, but said he was fine to continue coaching afterward. Beamer’s departure is the fourth such retirement this year, after Steve Spurrier of South Carolina, Jerry Kill of Minnesota, and George O’Leary of UCF all left their posts, although those three did so immediately.